"Only in Tranquility Wrapped in Blue"
#AnguillaPostcards 3/2/13. The first anniversary of Dad's passing. We had walked the beach, tossed flowers into the sea, and said a silent prayer. We were rewarded shortly afterward with this sight. Please like this post!Contest time!!! I need your votes again!You all helped me to win last year!#anguillapostcardsHeaven on earth. Peace and relaxation. Warmest welcome you will get. 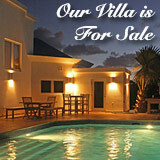 Beautiful Anguilla Postcards and with tremendous support on Facebook! Each of the top 5 finalists have won a FREE year of the Anguilla Card. 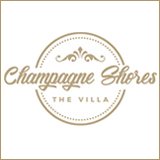 As for the grand-prize (a 3 course chef's dinner with wine pairings at the five-star Restaurant at Malliouhana)? You have won THE grand-prize, Jennie, the 3 course chef's dinner with wine pairings at the five-star Restaurant at Malliouhana. A big congratulations to Top 5 finalists, Alyssa, Paula, Sarah and Marisa, who have all won a FREE year of the Anguilla Card. Choosing just 1 winner was incredibly difficult. Each submission struck a different emotional chord and beautifully captured precious memories made in Anguilla from a unique perspective. 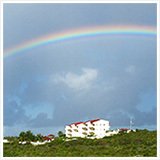 With so many outstanding "postcards from Anguilla" shared, we will be holding more contests throughout the year. Subscribe to our Newsletter to get the latest updates on 2016 contests and giveaways! Until then, keep scrolling to browse through all 58 stunning Anguilla postcards. 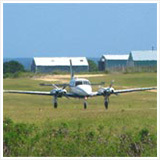 Each and every one conjures up such special memories of Anguilla. Being in total relaxation at Rendezvous Bay--Photo taken by Kristin Bourne#AnguillaPostcardsEveryone "LIKE, SHARE and COMMENT" so I can win the contest! 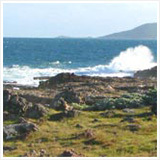 The evening view from Malliouhana... #AnguillaPostcards- W.D.M. A cove of your own :)... #AnguillaPostcards- W.D.M. The serene pool view from Malliouhana... #AnguillaPostcards- W.D.M. Anguilla Archives: Shoal Bay East, 1994 #AnguillaPostcards- W.D.M. Anguilla Archives: Rendezvous Bay, 1994 #AnguillaPostcards- W.D.M. Beautiful under the sea around Anguilla.Please like, comment and share this photo. #AnguillaPostcards. 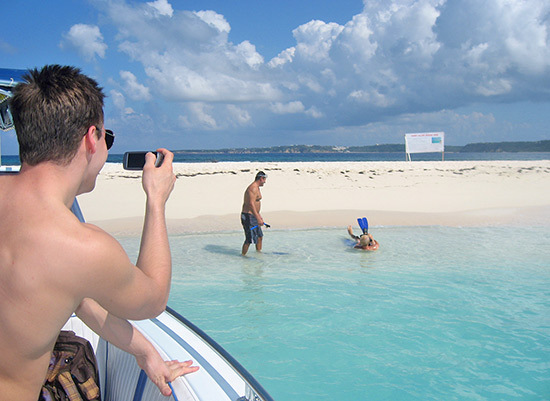 Beautiful moments on Rendezvous Bay. 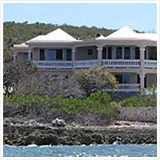 Anguilla is a small island, yet neither my dad nor cousin had been here (Shoal Bay West). Happy to share this #AnguillaPostcard with them. "That could only happen in Anguilla." Perhaps it is our endlessly sunny days (thanks to our desert climate), or the clear, blue seas and cushiony-sands, or the kindness of the people. Whatever the reason, Anguilla's tranquility has a disarming effect on the people who visit its shores, and an ability to align and deliver magical situations. "Our car was stuck in the sand, and who helped us dig it out? None other than the New York Giants!" "On a clear day, all alone on one of the most beautiful beaches, he proposed." "I finally learned to let go and jumped from 'The Rock!'" "I was walking by myself on Prickly Pear when a man in a yacht invited us to his private beach party. His friends called him 'Leo.'" As for me? One of my personal favorite memories was a day in October, 2014. Catching the surf-perfect, aquamarine waves that Hurricane Gonzalo left in its wake, with just one friend in the water, and not another soul out on the beach! Flapping around in the surf, my Dad struggled to put on his snorkel flippers at Sandy Island. It took him at least 15 minutes to realize he was trying to put on MY fins! 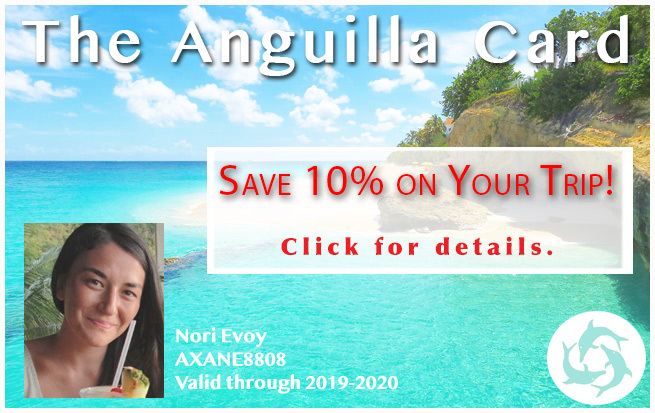 ... dedicated to all of your priceless memories, your own snapshots and stories, your own one-of-a-kind postcards from Anguilla! The entry window has closed (Deadline To Enter: January 19th, 2016). Stay tuned for the announcement of the grand-prize winner! Your winning postcard printed and mailed to you straight from AI-2640! 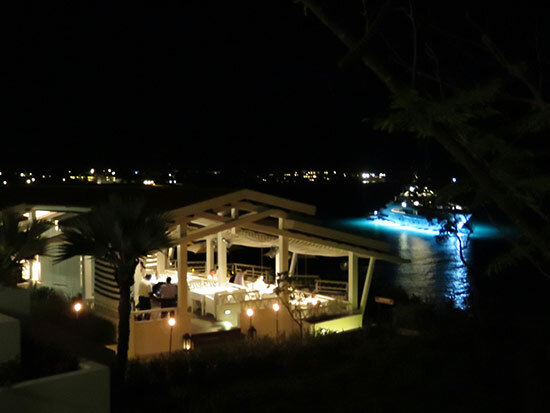 Perched on its promontory overlooking the sparkling lights of Meads Bay, The Restaurant at Malliouhana undoubtedly has one of the island's most refined, elegant and timeless settings. 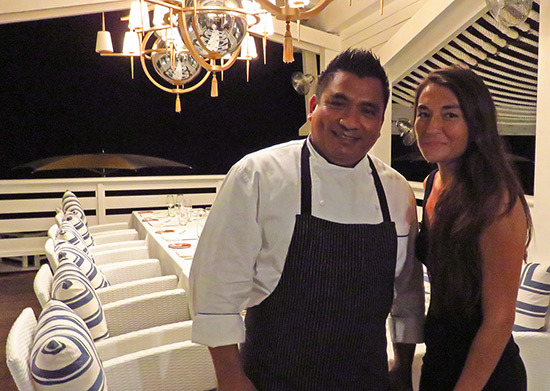 With an expert team, featuring Executive Chef Cupertino Ortiz, Sommelier Albert Lake and hosts that always put you at ease, dinner at Malliouhana exceeds expectations. In addition to the regular menu, Executive Chef Cupertino Ortiz offers a special menu. Inspired by farm-to-table dining, he uses the freshest ingredients locally available and adds contemporary touches to classic dishes. Favorites include Chef Ortiz's local lobster on rémoulade, cauliflower gnocchi and his unique take on "snapper with rice & peas." 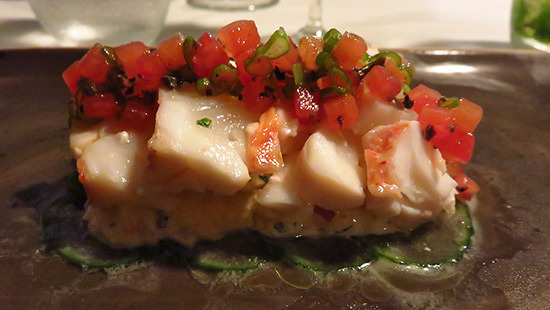 Read more on The Restaurant at Malliouhana & Executive Chef Cupertino Ortiz here. 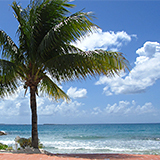 NOTE: "Postcards From Anguilla" contest has ended. For announcements on future contests and giveaways, click here to subscribe to our Newsletter. 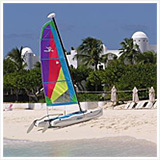 Step 1: Select a photo that best captures your most special Anguilla memory. Step 2: Write a brief description explaining the memory (max. 30 words) to post with the photo. Step 3: Post them together to your Facebook page. 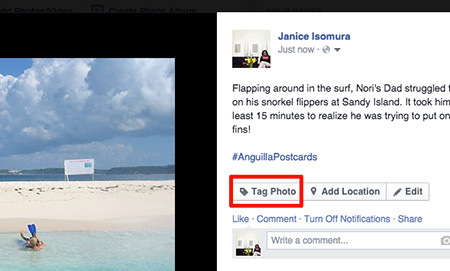 How To Tag AnguillaBeaches: Once you have posted your photo with its description, click on your post. A window will pop open, displaying your photo and description. Click the "Tag Photo" button located beneath your description. Then, click anywhere on your photo. A smaller box will pop open. This box prompts you to enter someone to tag. 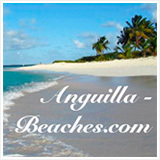 Enter and select "Anguilla Beaches." Then, click "Done Tagging." 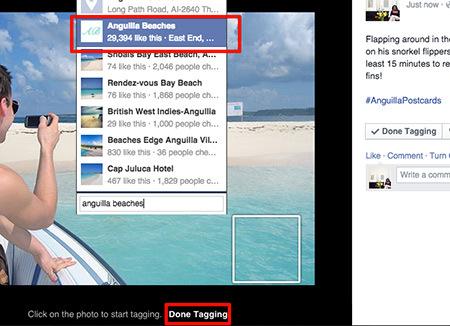 NOTE: If you are unable to tag "Anguilla Beaches," don't worry! 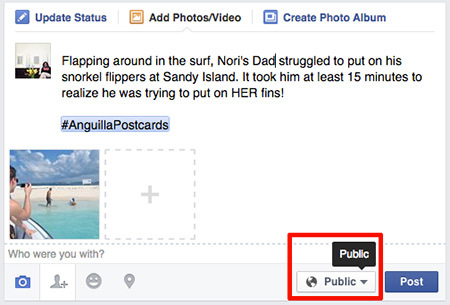 As long as your post is tagged with the #AnguillaPostcards tag and is "public," we will see your post. You can enter up to 5 submissions! 1) Once you have posted your submission, get your friends and family to vote for you by Liking, Commenting and/or Sharing your photo. 2) The 5 entries with the most votes make it to "The Finals." ("Votes" are determined by adding up Likes, Comments and Shares.) 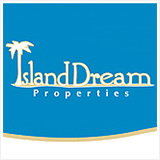 Each win a free Anguilla Card! 3) Together with Jorge, Malliouhana's Food & Beverage Director, we will select the grand prize winner based on quality of photo and description, also taking social support into consideration. Have fun, good luck and don't forget to generate a ton of social support for your entry! It will not only put you into the finals, it will raise awareness of Anguilla (WIN-WIN). "Postcards From Anguilla's" entry window and voting has closed! Click here for the top 5 finalists.